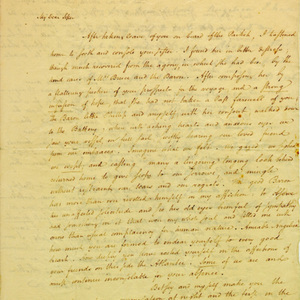 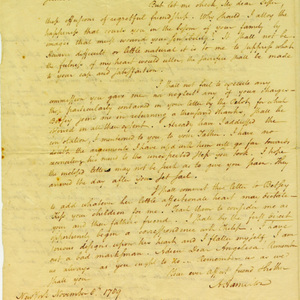 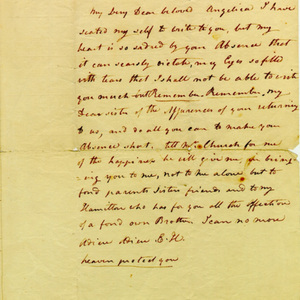 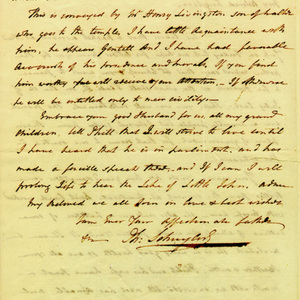 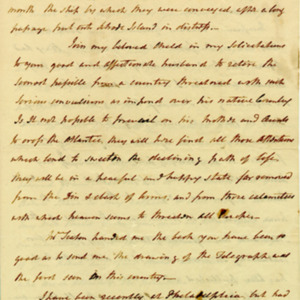 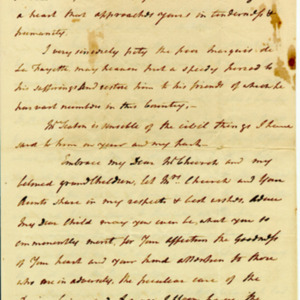 In a detailed and extensive letter to Angelica Church, Hamilton covers many subjects including politics and family. 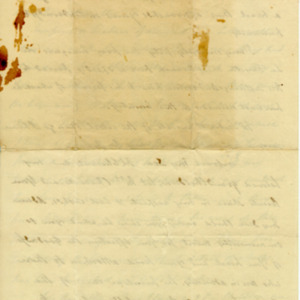 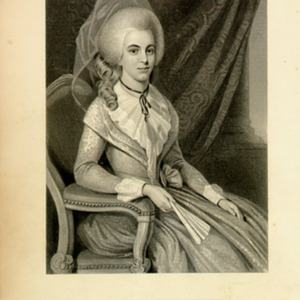 Also included is a note from Angelica's sister, Elizabeth Hamilton, Alexander Hamilton's wife. 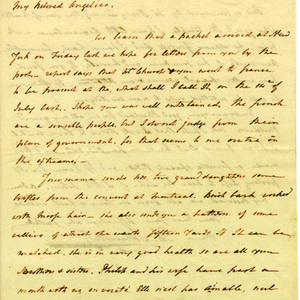 Philip receives word that the Churches were in France for "the 14th of July last" and searches for a term to call what will become Bastille Day. 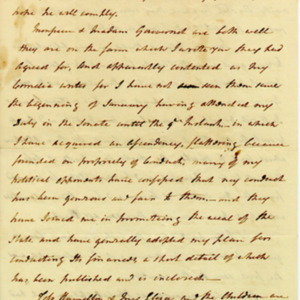 He also writes that he has attended his duty in the Senate from the beginning of January to early April, and comments on his political opponents and mentions his concern for Marquis de Lafayette and his suffering.